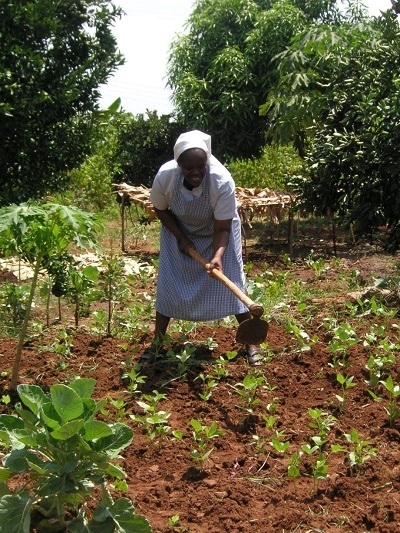 In 1973 Peramiho Priory had already planted a little corn into Kenyan soil in the Kerio valley with Sr. Ruth Greubel, domestic teacher, and Sr. Margret Maria Arnold, nurse and midwife. They started the community of the Child Jesus in Chesongoch. We owe it to their missionary zeal, their courage, and loving perseverance that the community grew roots amidst the wild thorn bushes and an army of goats. In 1976 the two sisters were called back to Peramiho and replaced by Sr. Wilgard Lumpp, cook (died at Karen in 2007 as the senior of our Priory); Sr. Heriberta Erhard, domestic teacher (by now retired in Haus St. Benedikt in Tutzing), and Sr. Maria Uhl, nurse and midwife (still in Nairobi-Ruaraka). Other sisters joined them during the next years for short periods. In 1980 a second small seed was planted, this time in Nairobi with Sr. Irmtrud Wagner and Sr. Chantal Gerster (became then Regional Superior and followed as 2. Prioress). They prepared the ground for further expansion by learning the language, starting a garden and a convent building. 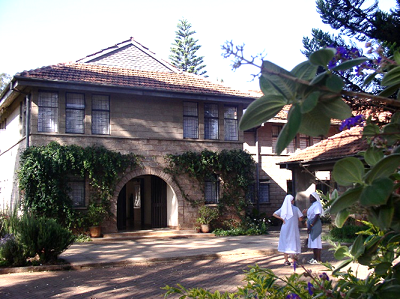 On February 10, 1981 the sisters’ convent at Nairobi-Ruaraka could be blessed as formation house by our late Card. Otunga with Sr. Chantal as Regional Superior, Sr. Irmtrud, responsible for house and garden, Sr. Magdalena Eberhard, kindergarten teacher, and Sr. Ramira Uy, physician. The community of Chesongoch was added and Nairobi became a region. Nairobi finally came to birth as priory on February 10, 1987 at Karen with Sr. Christiane Spannheimer as first prioress. The communities in Ruaraka and Chesongoch became dependent houses. In the same year another community was added in Endo, which had already been mainly furnished by the Chesongoch community. Since its beginning Ruaraka has grown enormously. 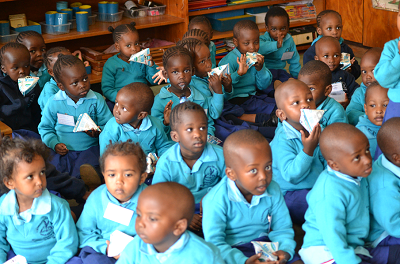 The sisters run by now a Primary School with more than 1 000 students and a dormitory for about 300 children who mainly come from the nearby Mathare Valley. 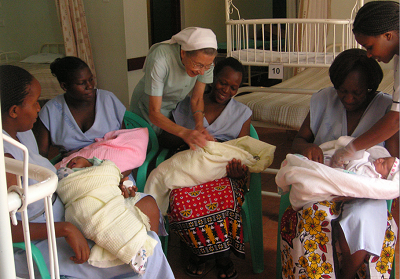 They also serve in a big dispensary with a maternity, which is constantly short of beds with daily about 15 deliveries. Also our student sisters find there a loving home. 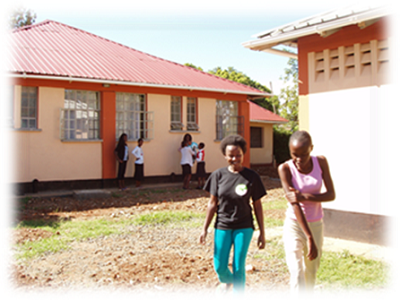 In the Kerio valley the facilities were improved for present day needs: in Chesongoch was built in 2011 a small hospital with operating theatre and the kindergarten was extended. In Endo the Health Centre received more examination rooms and a maternity, which were blessed in 2015. The sisters also avail themselves for pastoral and social needs. In the early years our sisters who worked in the Kerio valley were always welcome in the so-called “Procure” of the Benedictine Fathers in Eldoret. They were finally able to buy in the year 2000 2/3 of the land together with the former procure. The house was remodeled, repaired and extended and in March 2003 the first convent with three sisters could canonically be erected. 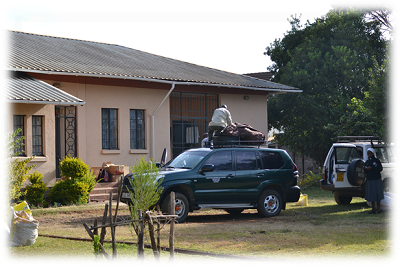 This convent serves the sisters of Chesongoch and Endo as home during their business visits in Eldoret and on their way to and from Nairobi. The sisters also take care of the sick in a nearby hospital, teach in a Secondary School, welcome retreatants and never missing guests, and have recently a hostel for students and young women studying or working in the town. In 2007 in nearby Kimumu a piece of land was purchased. The sisters worked hard to build and establish the St. Gertrud Community. By now they already have a growing Primary School, which still is being built up to 8th grade. 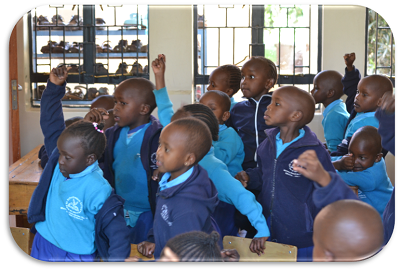 Their main concern in the school is peace building among the once warring tribes of this part of Kenya. 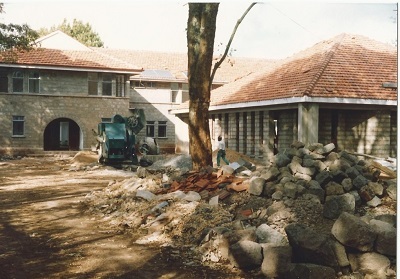 Also the Priory House in Karen could radiate its activities though having as its main task the formation of young women wanting to become Missionary Benedictine Sisters. These come not only from Kenya, but also from Uganda, Tanzania and of late the Democratic Republic of Congo. 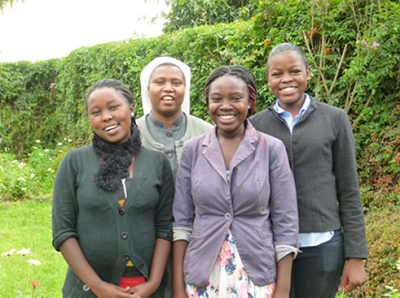 The sisters established a retreat and guest house, they run a dispensary and train their young missionaries in taking care of nature in their vast garden and husbandry. The formandees also teach in a nearby school and respond to the many pastoral ad social needs of the area, like attending to the Small Christian Communities, taking care of needy students and old people. 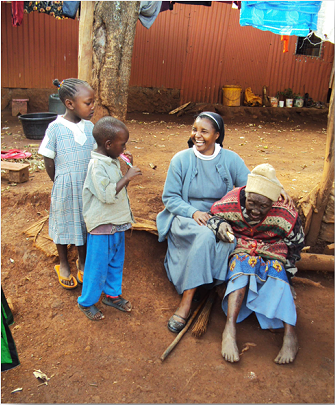 In all our houses the sisters take care of the needy through pastoral care and social activities. 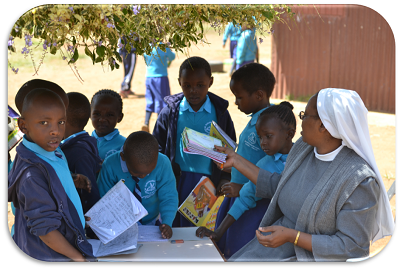 As already in the early not yet stabilized Church the followers of Christ went out to other countries, so also from our still young priory sisters went out and serve in the Generalate, Peramiho, Ndanda, Norfolk, Manila, Namibia and next in Olinda and Portugal.